​with his experience pulled this together perfectly. It all started after hearing about minister Harris imposing a hiring freeze on the HSE. I was fuming followed by action. Putting my feelings about this in writing and emailing as many TDs as I could find email addresses for, yes I had a good old rant. 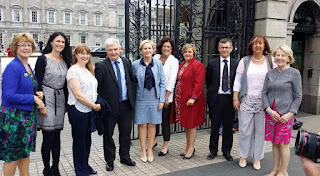 wrote back to me quickly and in a phone call the next day he suggested we ( my colleagues & myself ) come to Leinster House and present our case on a national level to the ministers, all of which he would invite to attend. ​now how exciting did this sound ? Yep said I, seemed like a good idea and so the plan was hatched. Not in my wildest dreams could this Advocacy Project happen with effect without professional facts, figures and backup. in my Wildest dreams could I do that job, well not alone anyway. Kieran was the person in Diabetes Ireland I spoke with and the support I received was instant. Kieran enlisted the help of the Clinical Leads for paediatric and Adult services and it all started to come together. Every single step of the way Kieran keep us in the loop and made sure what was happening was with our approval. After only a few weeks to plan it all the pressure was on to make sure everything was covered and then finally the day arrived ! 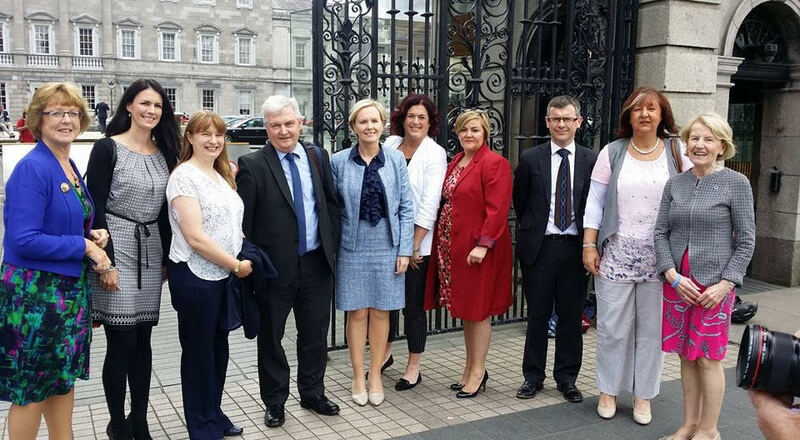 It was a very well attended meeting by TD's and Senators, and both Clinical Leads talked about the lack of Diabetes Services nationwide but particularly In the SouthEast where services seem to be particularly bad. Rebecca and I both spoke about living life with type 1 diabetes, Rebecca from the point of view of a parent of a child with type 1 and me from an adult point of view. 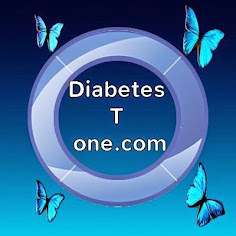 ​ we were experiencing in our Diabetes clinics was highlighted​. After today I understand a little better what their job and their role in our lives is. but unless we work with our peers as a united team we are unlikely to be heard by those that truly matter to our lives as people with type 1 diabetes. team, certainly advocating as a small body will make noise but if we want changes we have to all pull together with the one agenda and as one body. ​Today was a special day and we need to say thank you so much to Frank O Rourke TD, for giving us this opportunity also Kieran O Leary and his team from Diabetes Ireland​, their patience and support was endless and invaluable, and im sure it will continue to be so as they continue to work with us and also on our behalf. The support we recieved from our community was overwhelming as the days grew closer to the briefing and if i had a message to everyone now, it would be that there is strength in numbers, it is very important that we stand together and united as people with type 1 diabetes, to campaigne for a better and healthier future together.